Stuart was a pupil at Hazlehead Academy in Aberdeen and was with Dyce BC for five years before moving to Inverness Caledonian Thistle in 2008 where he worked with former United player Alex Cleland. His family moved to Dundee soon after and Stuart joined United in June 2009 and in his first season he played in all bar four of the Youth Team’s League and Cup matches, netting 13 goals. His form brought him to the attention of Scotland’s Head of National Youth Teams, Billy Stark, and in April 2010, Stuart made his debut for the Under-19 team against Luxembourg. At the end of a successful year, he was included in the national squad that would travel for the UEFA Under-19 Championship Elite Round qualifiers in Croatia. He came on as a substitute and scored twice against Montenegro while also making appearances from the bench against Belgium and Croatia. The 2010-11 season saw Stuart make the step up to United’s first team under manager Peter Houston, and this was followed up with a call-up to the Scotland Under-21 squad. 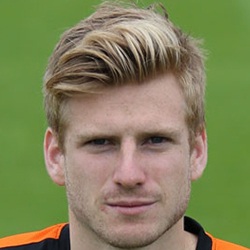 Along with fellow youth players Dale Hilson and Ross Smith, Stuart signed a contract extension in 2010 that would keep him at Tannadice until May 2014. The following season Stuart was used as a more than adequate cover player for midfielders Scott Robertson and Willo Flood in midfield. United finished the season strongly to claim 4th place in the SPL. Starting the 2012-13 season as he had ended the last, Stuart was used mostly as a substitute for the first quarter, and signed another contract extension that would tie him to United until May 2015. From October onwards he became a regular in the starting eleven, missing only two matches throughout the remainder of the season, becoming known for scoring spectacular goals along the way. The midfielder’s talents were recognised as the season went on, with a Clydesdale Bank Young Player of the Month Award in February and a nomination for the SPFA Young Player of the Year Award in April, culminating in the winning of the Scottish Football Writers Young Player of the Year Award in May. In the summer of 2013, he played for and captained Scotland's Under-21 side in the UEFA U21 Championships, and in June he was called up to the full senior squad along with Gary Mackay-Steven for Scotland’s World Cup Qualifier away to Croatia. With new manager Jackie McNamara at the helm, Stuart became a central part of a fresh and exciting side, lauded for their attacking prowess. He increased his goal return to 11 from midfield during the 2013-14 campaign and in December of that season, he agreed his third contract extension, securing his future at the Club until July 2016. In May, he collected a runners-up medal in the Scottish Cup Final against St Johnstone. 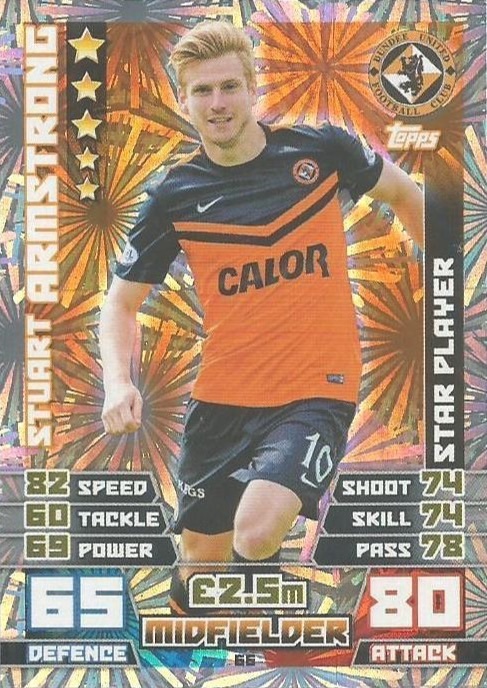 On the final day of the 2014/15 January transfer window, Stuart moved to Celtic along with team mate Gary Mackay-Steven, in a joint deal believed to be around £2m plus add-ons. Stuart was born on this date in Inverness. 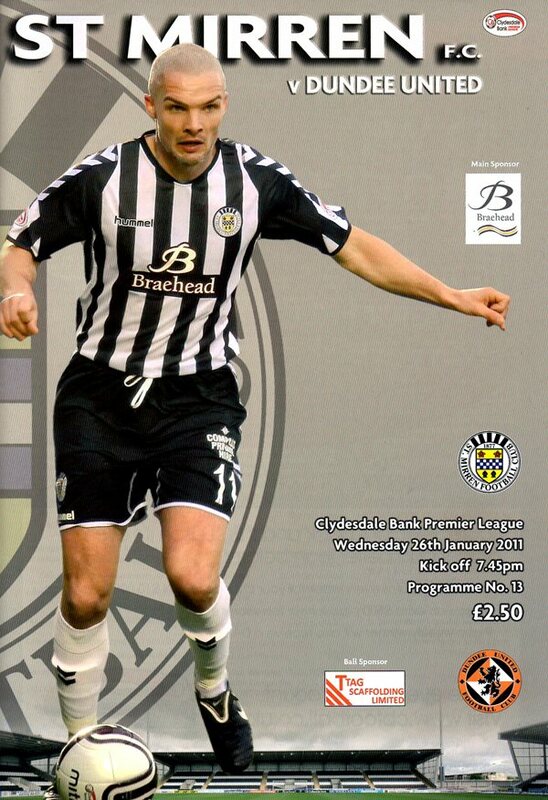 Peter Houston faced a wide range of selection problems ahead of this one and it was all change up front as United went with Danny Cadamarteri and Johnny Russell to lead the line while the usual front two Jon Daly and David Goodwillie dropped to the bench. Sean Dillon again partnered Garry Kenneth in the centre of defence. Peter Houston made the decision to change the side that started the last four games; dropped were Kenneth and Russell with Dillon and Armstrong coming in. Heavy snow had fallen overnight in Inverness, however the staff at the Caledonian Stadium had done a good job to ensure the pitch was cleared in time for kick off.